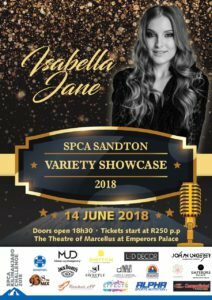 First ever annual Sandton SPCA Variety Showcase happening in June! 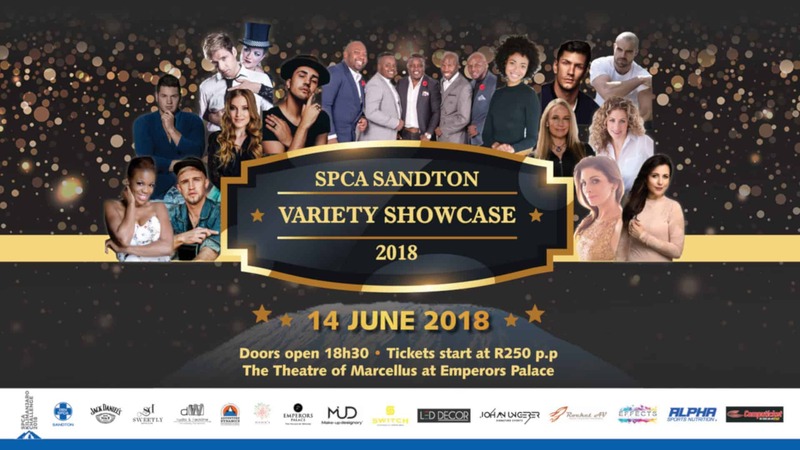 The #VCrewZA may be a bunch of different folks, all with unusual strokes, and varying opinions on all sorts of topics. 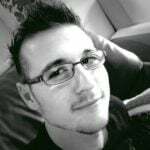 It is what helps us tick as a team. 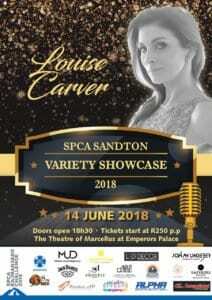 However, if there is one thing that all of us will always agree on: it is an intense love for all things cute and furry! 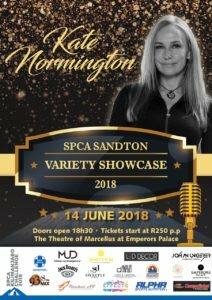 This is why we just have to tell you all about the first ever annual Sandton SPCA Variety Showcase. 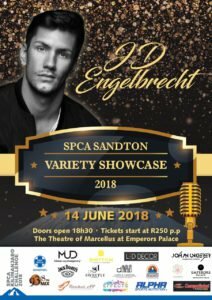 The Sandton SPCA, together with Johan Ungerer Signature Events, have announced that they will host a brand new and inaugural showcase event on 14 June 2018. 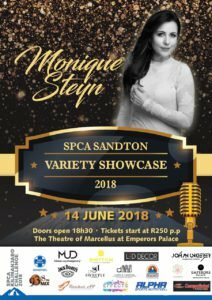 All proceeds from the event will go to the SPCA, which requires roughly R500 000 a month to maintain all of the homeless animals in their care. 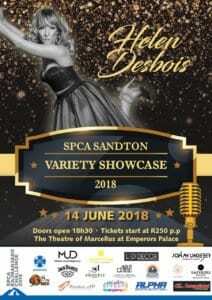 Not only is the cause for this event worthwhile, but they have gone all out to make the event one worth remembering. 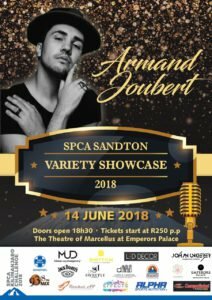 Headlining artists include Louise Carver, Armand Joubert, and JD Engelbrecht. 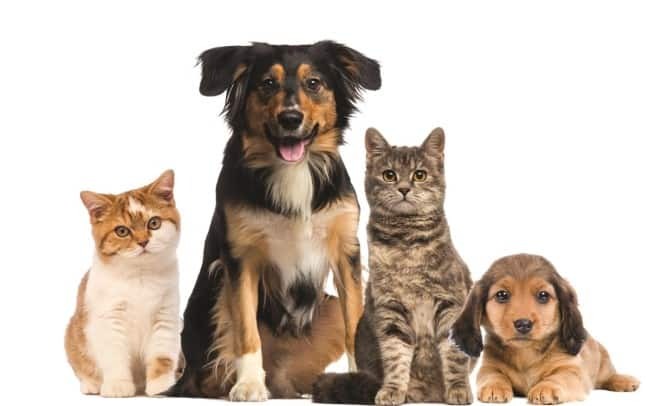 All of whom are coming together in the name of protecting the furbabies of the world. 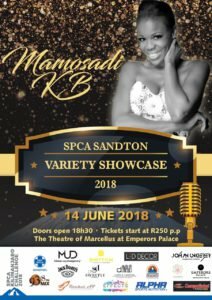 More specifically, the showcase will help raise funds for both the Sandton Society for Prevention of Cruelty to Animals (SPCA) and the annual Kilimanjaro Challenge, which gives adventure fundraisers the opportunity to climb for a cause later this year. 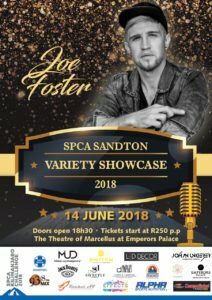 Including the artists mentioned above, celebrities and artists who will show off their talent include Beyond Vocal, Monique Steyn, KB, Joe Foster, Ryan Sharp, Isabella Jane & Rosie, Johan Anker, Carly Graeme, Kate Normington, Lynelle Kenned and David Louw. 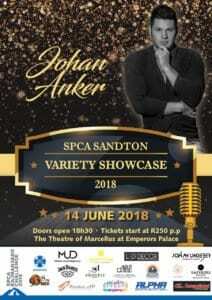 A local star-studded line-up if I ever saw one! 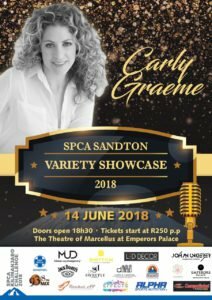 If you are at all interested in the well-being of the animals, you can show your support by buying a ticket to the showcase. 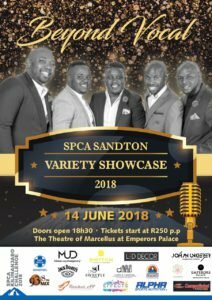 It takes place at 7:00 PM, on 14 June 2018, at the Theatre of Marcellus, at Emperor’s Palace. 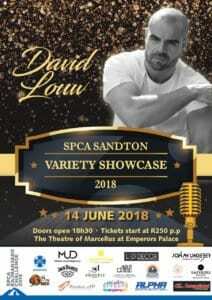 Tickets are available at Computicket and start at R250 (all proceeds from the event will go to the SPCA). 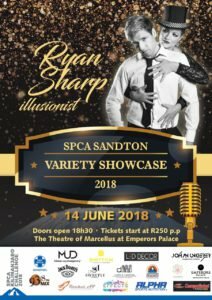 The Sandton SPCA Variety Showcase not only helps animals, but also promises to be one heck of a spectacle. 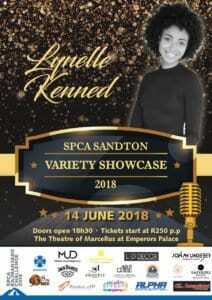 The #VCrewZA will be there, and we hope you will to.